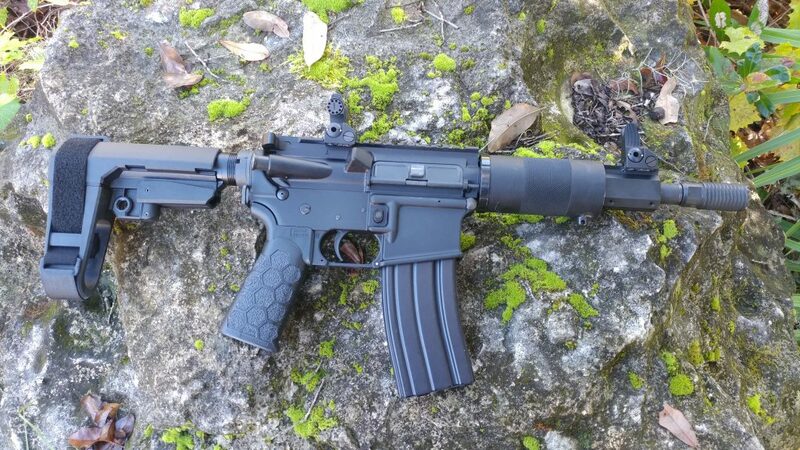 CMMG is well known for not being afraid to take risks and innovative in the crowded AR 15 market. I first took notice of them when they produced the Mutant with its unique AR lower that accepted AK magazines. Since then I’ve loved the Anvil, the Banshee, and the Guard rifles, pistols, and SBRs. The new RipBrace is their first jump into the world of pistol braces. 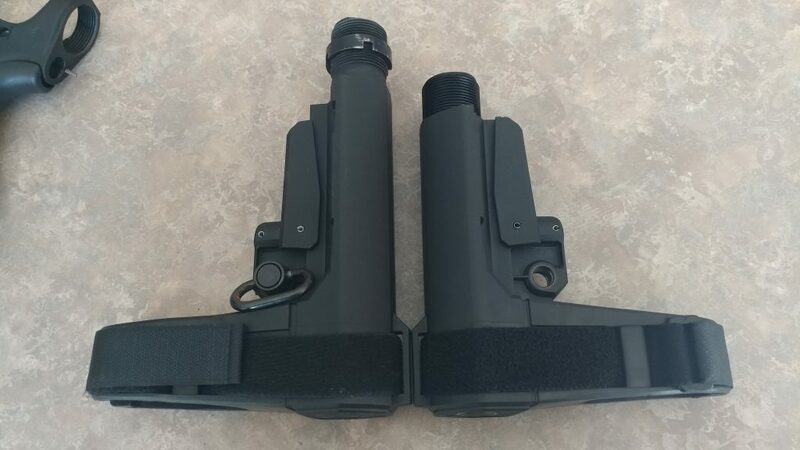 The RipBrace comes in two varieties, the standard, and CQB. I went with the CQB because I wanted to shrink my baby AR as much as possible. The CQB is 1.25 inches shorter than the standard model when both are fully extended. 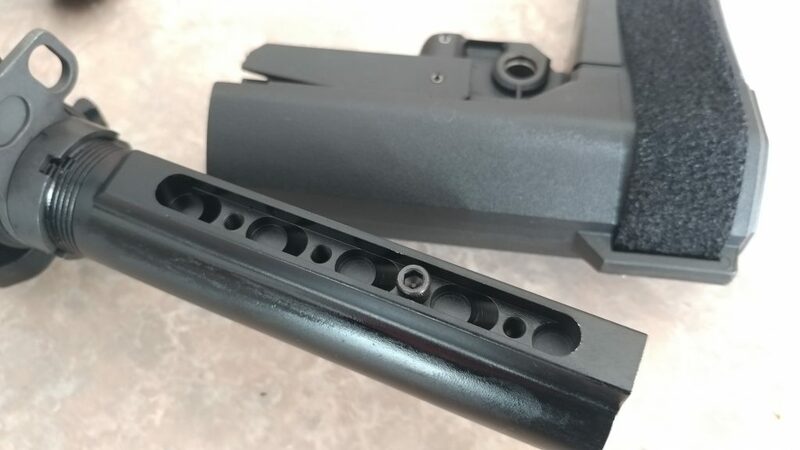 The buffer tube is actually shorter than a standard carbine tube and the actual brace is trimmed back about as far as you possibly could. At first glance, it looks like an SBA3, albeit a slightly shorter model. This makes sense since CMMG teamed up with SB Tactical to produce the RipBrace. 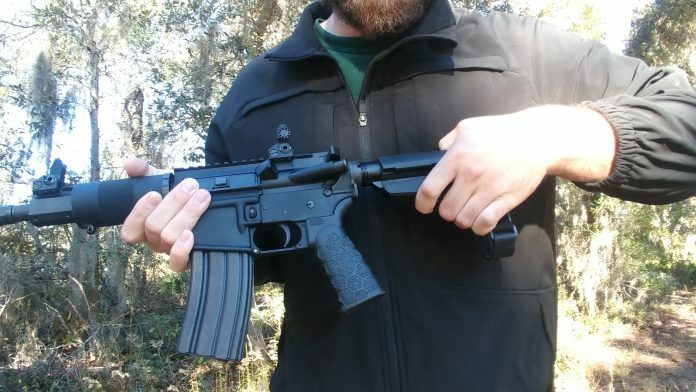 The SBA3 is a well-made brace which I have previously reviewed and enjoyed immensely. Besides the size, the rear of the brace sports CMMG’s logo instead of SB Tactical’s. The RipBrace features CMMG’s Fastback technology. They use this on their RipStock and the idea is that you can open the brace just by pulling it rearward. 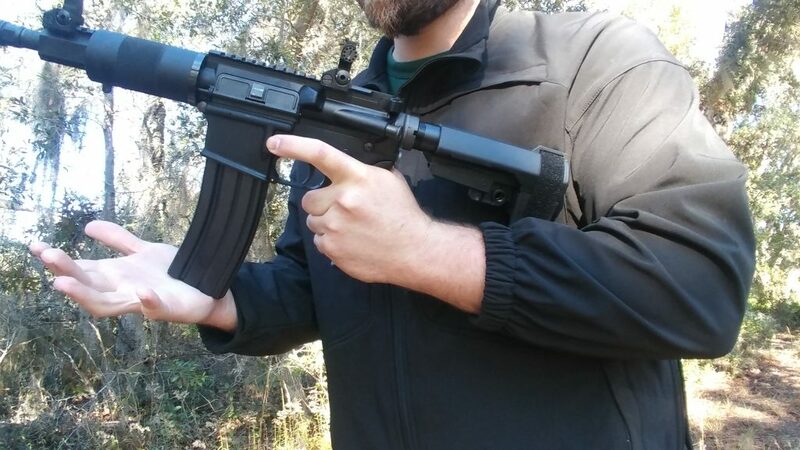 There is no need to hit the position adjustment device to deploy the brace or the stock with the RipStock. That’s not all, it comes with an indexing screw that the end user places on the buffer tube. When you pull the brace rearward to extend it the RipBrace locks at where you place that set screw. This means everytime you deploy the brace it deploys at the exact same position every time. There is no locking tabs, and nothing to fiddle with. Grab it, extend it, and get going. The P3 in P3 Set screw stands for Personal Position Preset which describes what it does just perfectly. I thought this was superbly cool and I really like it. 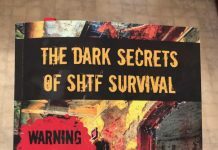 The best of all is it works. It works exactly as advertised. With just a little pull it slams rearward and with the set screw in place, it always catches at the same position. I did this over and over last night, watching Get Shorty on Netflix, I did it until my elbow hurt. It never flinched, binded, or failed on me. When the brace first hit the market there was a lot of people making comments on the price. Which was fair, it retails at $199.99. The SBA3 can be found on Average for right around $105. Where was all the extra value? First off, CMMG sells a complete package. 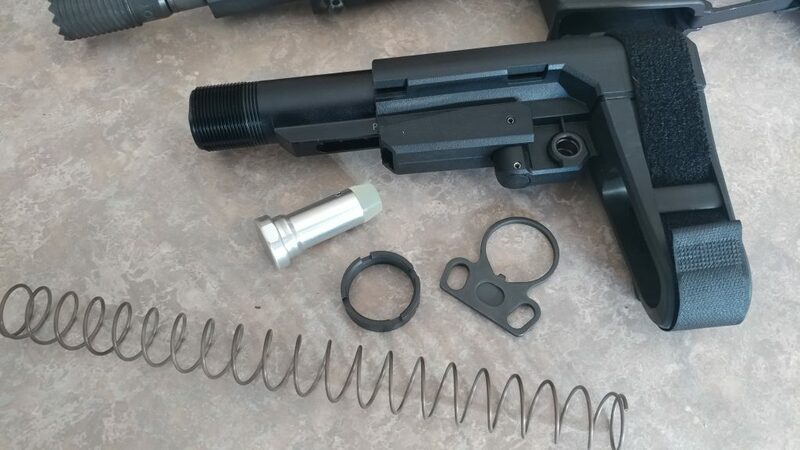 This is a brace and carbine tube, as well as CMMG’s MK3 carbine buffer, and buffer spring, as well as the castle nut and ambidextrous sling plate. Put together that’s about 50 bucks worth of stuff. The Fastback technology only adds about 45 bucks to the price. To me that is acceptable, and I love the Fastback technology. It’s incredibly convenient. One of my main complaints with the original SBA3 was how hard it was to position in the positions between 1 and 5. Moving between those 5 positions was hard to do. It’s not hard with this system and the set screw. 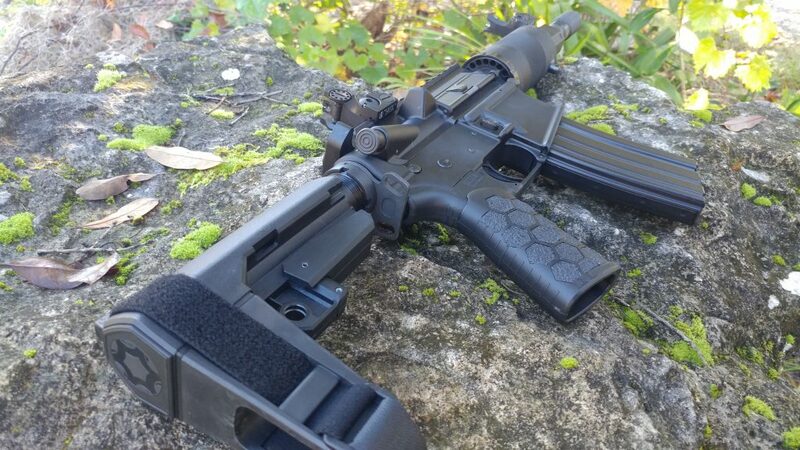 The RipBrace obviously pretty easy to install, it’s no different than any other AR carbine buffer tube and brace. Once installed you find the correct setting with the P3 Set screw and you are good to go. 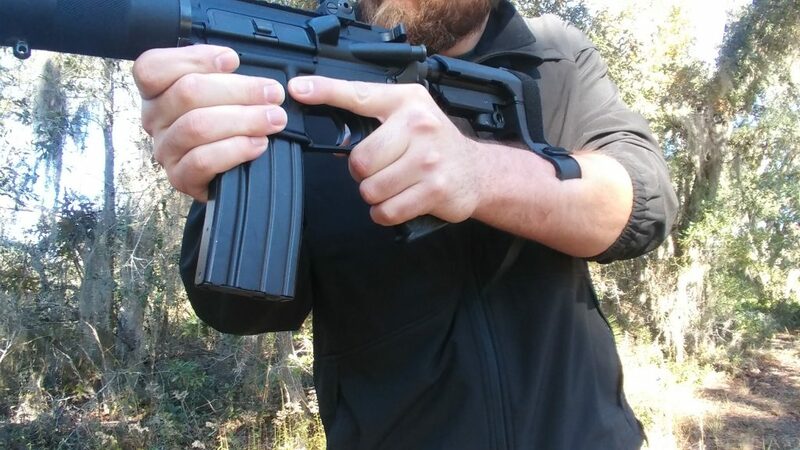 The RipBrace is a must have if you run your AR pistol as a PDW and defensive weapon. 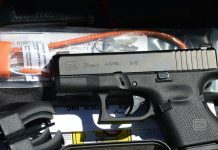 Size is a major factor when it comes to these weapons and the ability to rapidly deploy the brace gets the weapon ready quick, fast, and in a hurry. 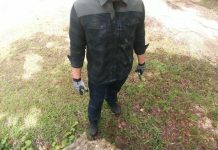 The RipBrace is quite comfortable strapped around the arm and the ability to adjust the brace makes it easy to accustom everyone from petite shooters to guys my size. 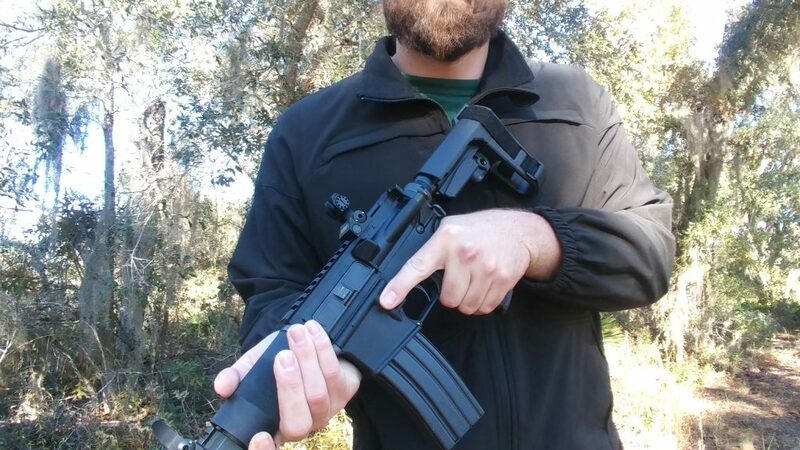 The design from SB Tactical is well suited for the AR pistol and is comfortable. The higher comb makes it easy to place your cheek on the brace to aim the weapon a bit better. 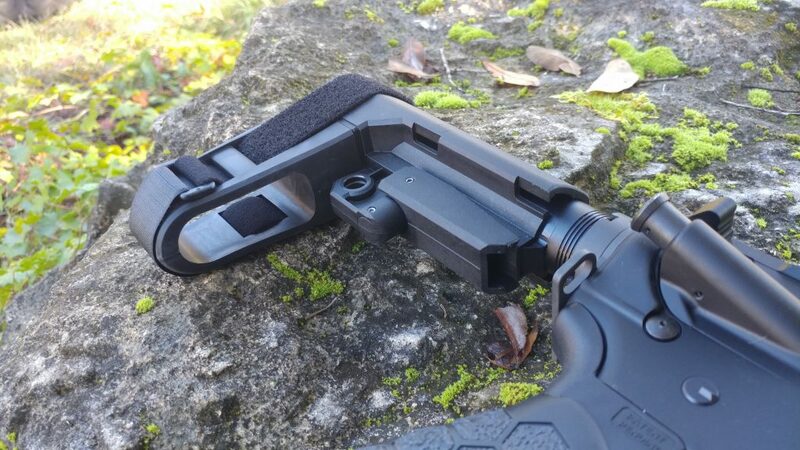 If you were to shoulder the brace you’ll find it comfortable, it’s not a stock though, so don’t expect it to be as comfortable as a Magpul UBR. 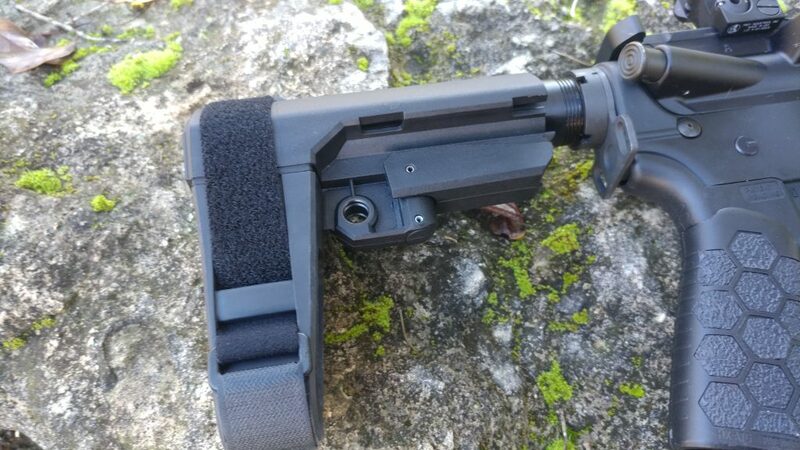 The RipBrace is outfitted with a QD point for a sling which is an awesome attachment and pretty handy. 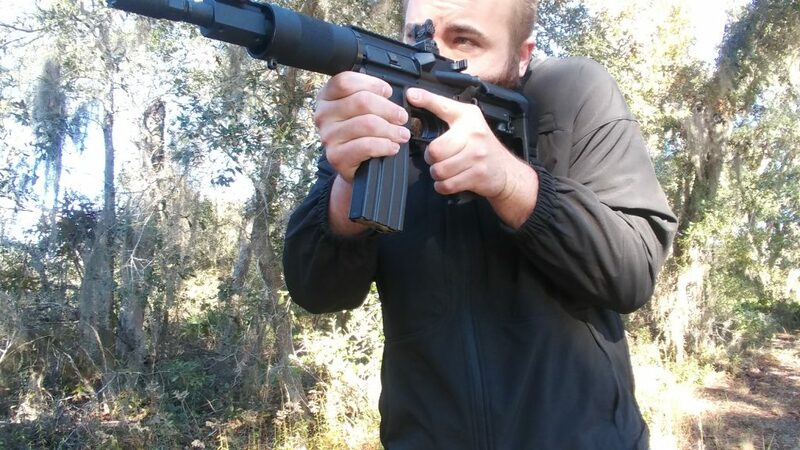 Overall the CMMG RipBrace is well made and the CQB model is perfect for a civilian PDW. The Fastback technology makes it quick and easy to deploy, and the shorter length makes it easy to conceal and stash in a bag. It’s perfect for those AR pistols that want to be as small as possible, without compromising comfort and useability.